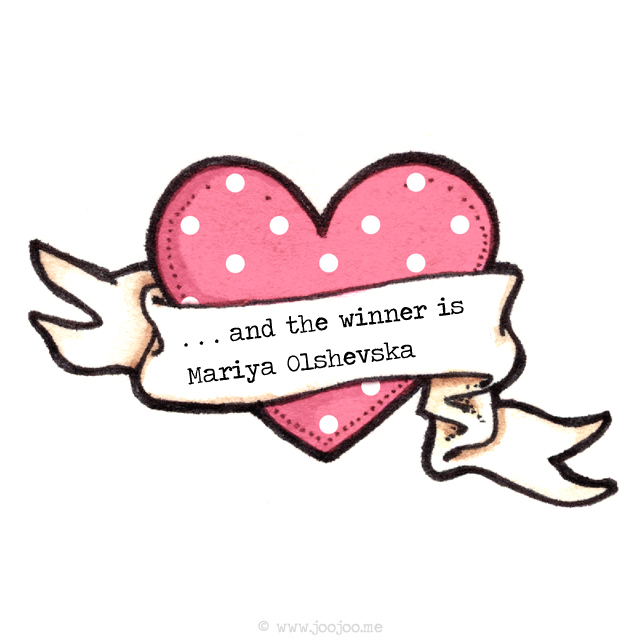 Congratulations dear Mariya! Please email me your address so I can send you your little magnet! And a big thank you to all you for participating. It was a real pleasure reading your sweet comments! Congratz to the winner!! Have a beautiful monday and a lovely week! Love to you! Our little article about your work is now online on our blog, if you want to take a look ! Many thanks for the lovely post about me! You are so sweet!